I’ve been looking at woven wall hangings on Pinterest for far too long! 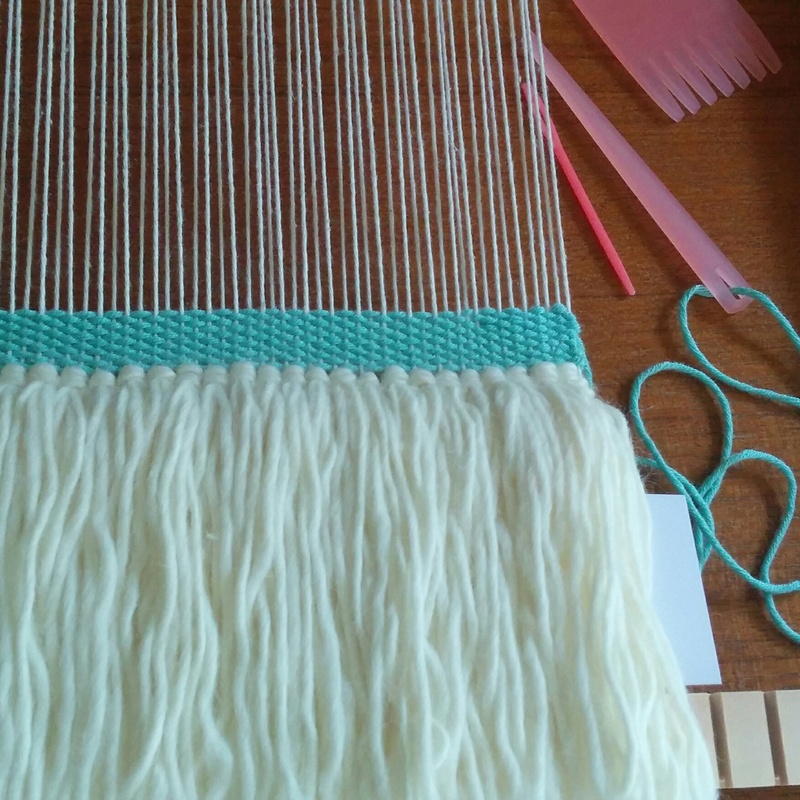 I thought that if I purchased a weaving frame (via Loom & Spindle) then I could have a go at it myself. I studied weave for 12 weeks or so in the first year of my textile degree, so one would think that it should come back to me quite quickly. Warping the frame was very easy and with the help of various YouTube videos, I was on my way. 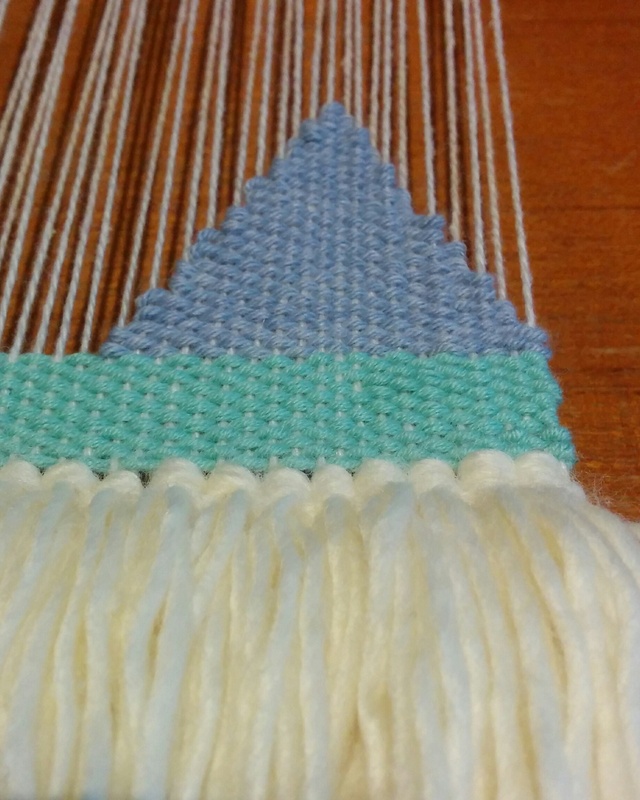 Tabby weave and rya knots followed by some tapestry triangles. 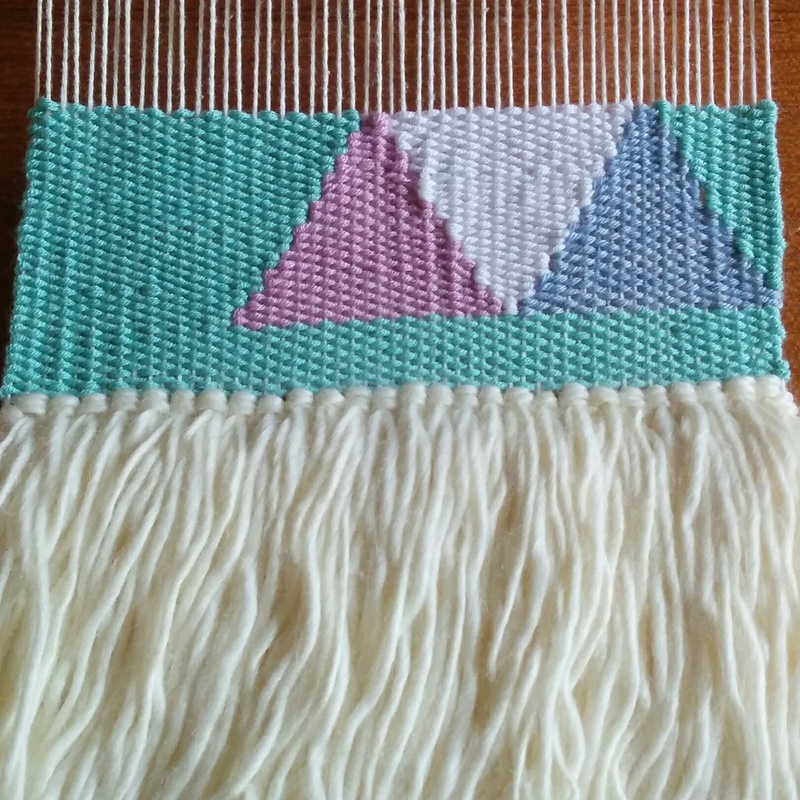 I’m not sure how to finish the piece yet, but I am loving mixing the colours and the simplicity of cotton stitches. Creating geometric shapes is so enjoyable and relaxing.